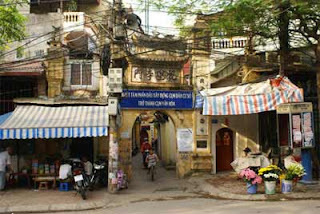 Concentration of ancient works and high density, Thuy Khue street brings a unique beauty that no other streets in Hanoi have been. 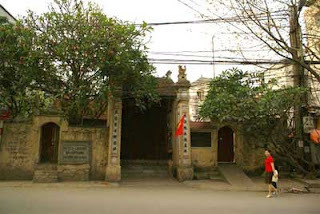 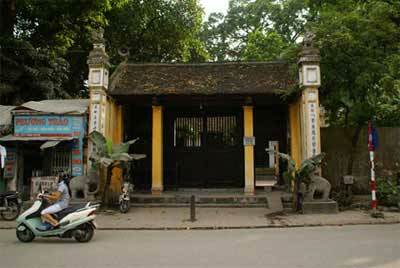 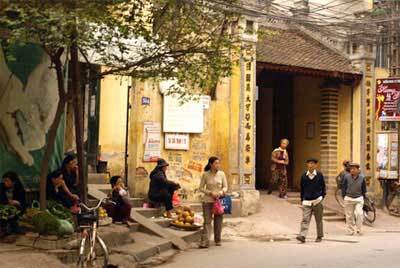 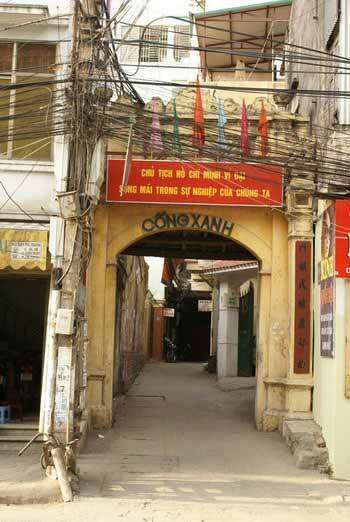 Thuy Khue is a long street running parallel to the southern shore of West Lake, belong the territory Tay Ho district – Hanoi. 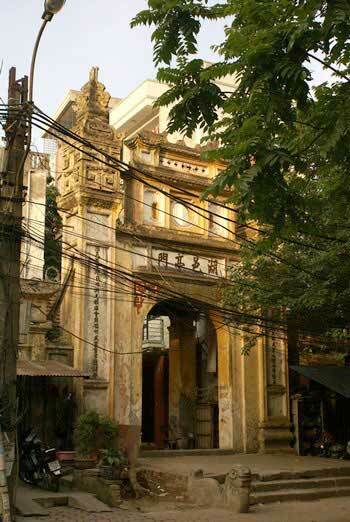 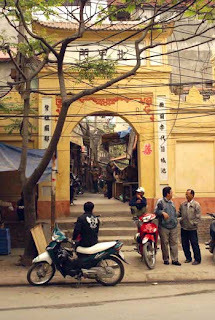 West side of Thuy Khue street, adjacent to the road where the Buoi street, the focus of high density bring works of ancient appearance. 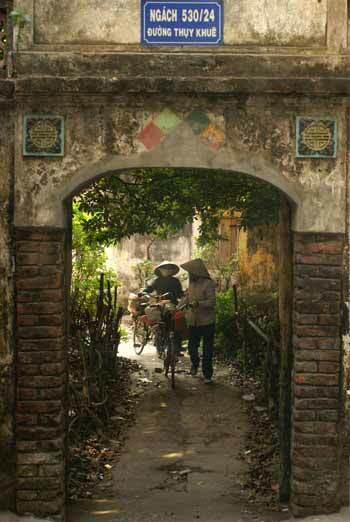 These buildings are the legacy of the village has existed for centuries on the southern bank of West Lake which is known collectively Ke Buoi. 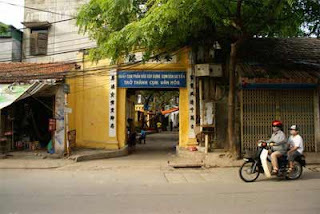 Adjacent to each other along the axis Thuy Khue street today, in order that the village of Yen Thai, An Tho, Dong Xa, Ho Khau and Thuy Khe. 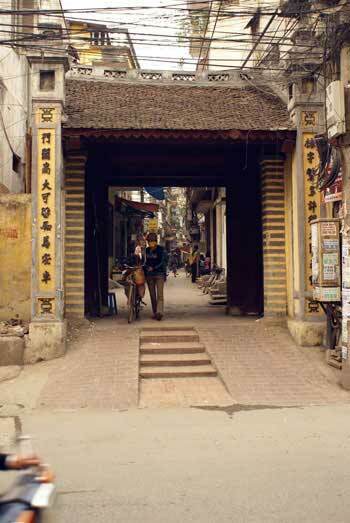 Main entrance of the Ho Khau village, was restored in 1998, but is now manifesting deterioration. Voi Phuc temple belong old Thuy Khue village where worship Uy Linh Lang Dai Vuong, a royal prince of Ly dynasty had great success in the fight against the invading of Tong(China) in 1077.